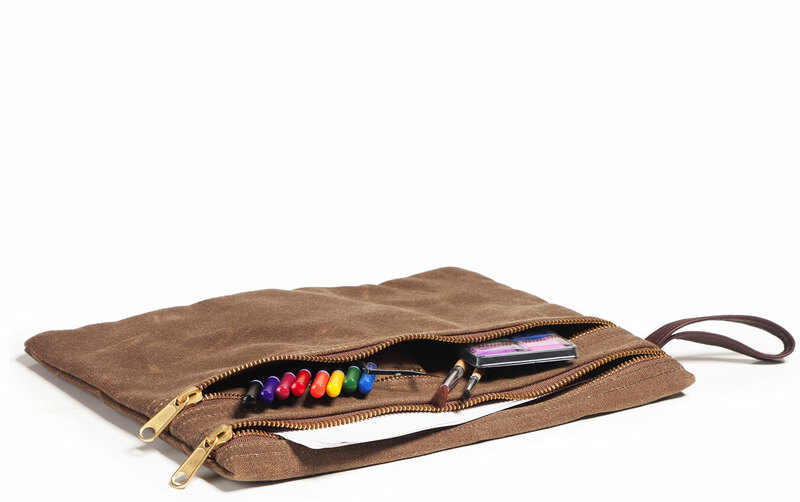 You'll find numerous uses for this handsome waxed CanvasWare two pocket organizer. Keep small items, toiletries, pens, receipts, small tools, kits, or hundreds of other items zipped away and organised. 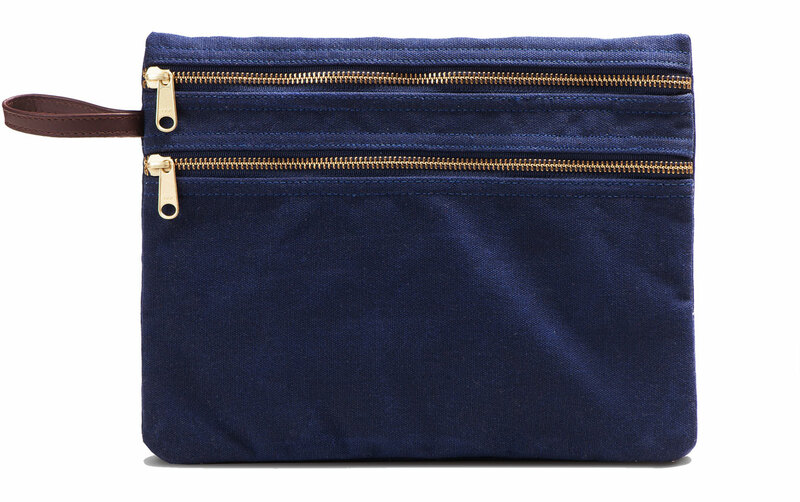 Conveniently tuck the tote away in luggage, school backpack, teacher's desk, in the car, boat, garage, or just around the house. The Huntsman Organizer is built of vintage wax-finished heavy canvas duck fitted with #5 brass zippers and a leather loop. 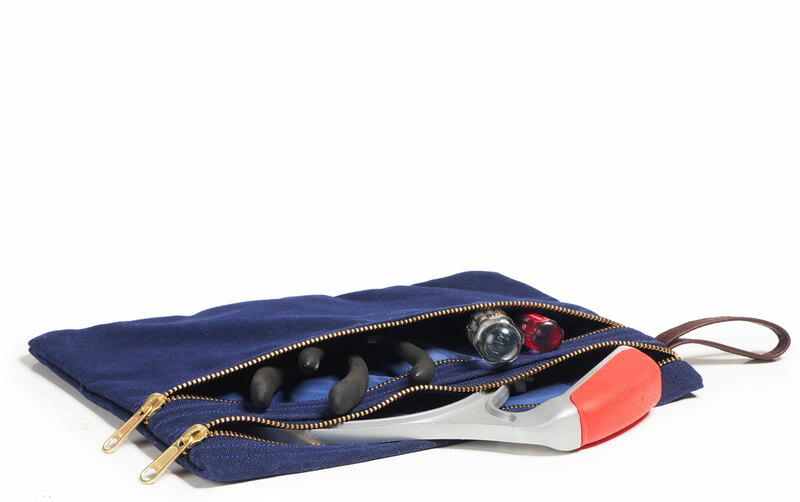 The pockets are fully lined with nylon for smooth access. Built to last. 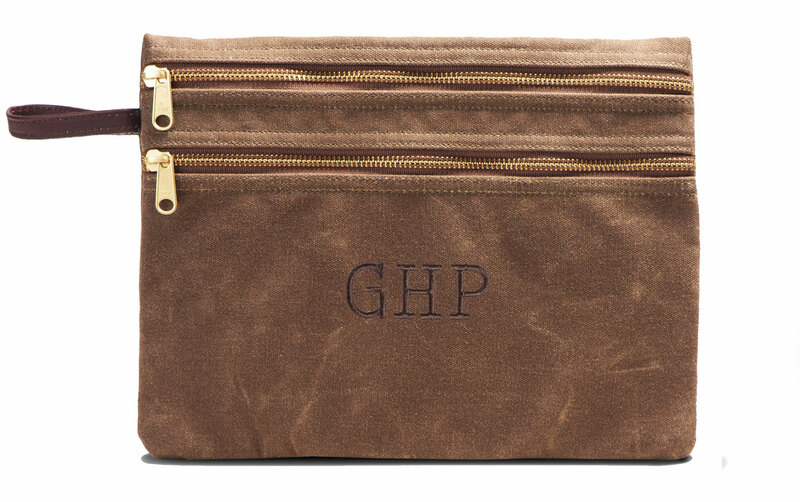 Matches our Huntsman Travel Bags.